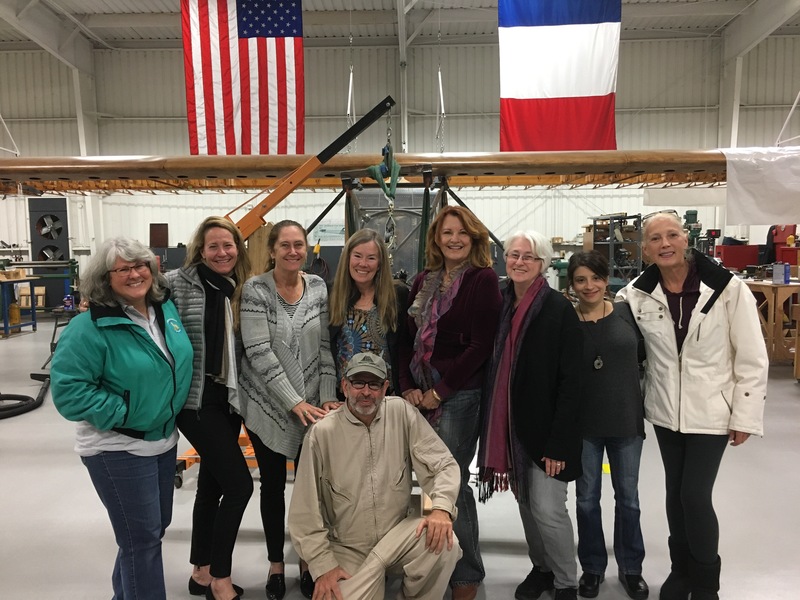 Cindy Pickett, Val Westen, Sherry Vakharia and Sue Royce representing the Marin 99s, accompanied by other aviatrixes at Gnoss Field Movie Night on November 5. We are at the Spirit of St. Louis 2 Hangar with the SOS2 pilot, Robert Ragozzoni. Behind us is his replica SOS2 aircraft, which will be ready for a test flight by March, 2017.